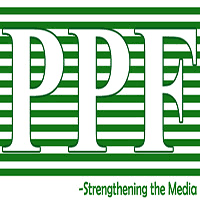 Pakistan Press Foundation (PPF) in a letter to Juan Carlos Varela, President of Panama has expressed concern over the illegal detention of Ecuadorian journalist in the district of Barú, Panama. PPF Secretary General Owais Aslam Ali in his letter, has denounced the illegal detention of the journalist and called on the authorities to stop targeting journalists in the line of duty. According to Fundamedios – Andean Foundation for Media Observation and Study, Ligia Arreaga, an Ecuadorian journalist was arrested on January 2, 2019. Arreaga investigated the alleged violation of human rights in the province of Chiriquí, before the arrival of the transnational company Del Monte. Before the arrest, Arreaga have also probed the Justice of the Peace about the abuse against local producers. According to the National Police of Panama, the journalist was arrested for disturbing the public order and attempting to attack the authority. Arreaga, who has been working in the western province of Chiriquí informed about her detention through a WhatsApp voice note from a Puerto Armuelles police headquarters. On January 3, the Union of Journalists of Panama announced on their twitter account that they are preparing actions against the authorities for the arrest of journalist. After 24 hours of detention the journalist was released on January 3.